I love, Love, LOVE Mexican food. Not only is it incredibly delicious, but it also happens to be super easy to fit into a healthy diet. The grilled meats, the fresh veggies… the salsa! In honor of Cinco de Mayo, I’ve got a special recipe for chunky salsa (a.k.a. 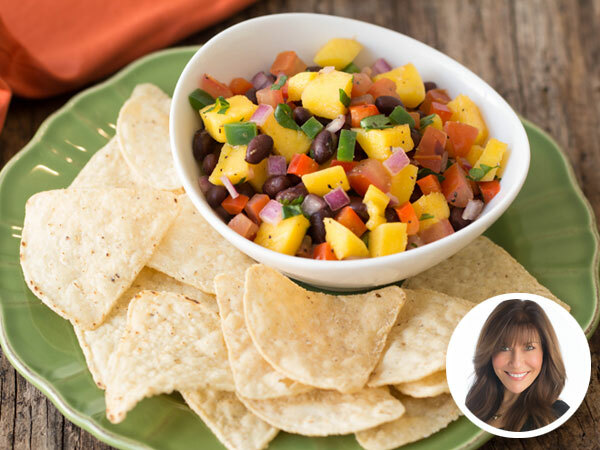 pico de gallo) made with sweet mango, savory black beans, and crispy jicama. It’s perfect served with baked tortilla chips and cut veggies for dipping; it also makes a great topper for grilled chicken or fish. Basically, it’s exactly what your Cinco de Mayo fiesta (or your average Thursday!) needs. 1. In a medium-large sealable container, combine all ingredients. Mix until uniform. Seal, and refrigerate until ready to use.